In this next edition of “An attorney reviews law firm practice management software”, we take a look at Rocket Matter. Rocket Matter is a cloud-based law firm practice management (or “case management”, whichever you prefer) software solution that allows users to manage their law firm practice in one centralized piece of software that integrates calendaring, billing, timekeeping, and document management. Sure, Outlook can keep your appointments and emails, but the goal of law firm case management software is to maximize your efficiency, saving you time, allowing you to bill more to your clients. In previous articles we’ve discussed the differences between cloud-based and in-house computer server-based law firm practice management software. I will just say that I personally prefer cloud-based solutions for small firms. You can check out any of several previous case management reviews we’ve done to see a more detailed analysis of cloud-based / web-based vs. computer server-based law firm practice management software. Rocket Matter is fairly easy to use and the interface is user-friendly. Creating new tasks and appointments and assigning them to matters is a very simple process. Tasks can be prioritized and assigned to other attorneys in your practice, and you can also log your billable time for each task, making timekeeping and billing your client by task effortless. Rocket Matter offers user training 10 times a week. I sat in on a webinar recently. The overview of Rocket Matter was great. They answered all my questions and showed me all of the main features of their case management software. Like its competitors, Rocket Matter has a standalone stopwatch-like timer you can use to keep your timer running. When you’ve completed working on a task, you can stop the timer and assign the time to a matter. For emails: you can create folders to organize matter-specific emails. This is also how Rocket Matter competitors do it. When you get a message to your Inbox, you can put the email into a specific matter, and then the email stays with that matter. For email, Rocket Matter can sync with any imap email address (i.e., Gmail and Outlook / Microsoft Exchange should work). As for all third-party software, Rocket Matter works well with Google Calendar and Outlook, allowing users to sync their calendars with Rocket Matter to share information between the two. Rocket Matter also syncs seamlessly with Quickbooks. Your accounts payable and receivable information can be sent to your PC-based Quickbooks software. It should be noted that Rocket Matter charges $15 for the ability to sync Rocket Matter and Quickbooks. This is a one-time charge. This is my favorite feature, so it gets its own section. 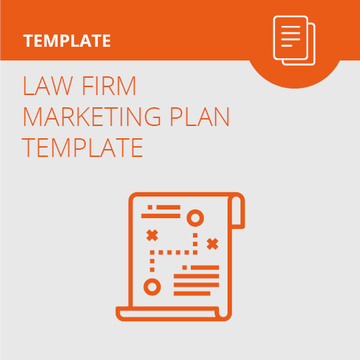 The document template creation feature is common to several of Rocket Matter’s law firm practice management competitors (e.g., Clio / MyCase). Document merging allows you to upload a form or template document that you use frequently (e.g., real estate closings or deeds or summonses) and create empty fields in the documents, allowing Rocket Matter to automatically fill these empty fields with your new clients’ saved information. Say, for example, you frequently use a particular real estate closing document and you spend a lot of time taking the form document and filling it with new client information. With Rocket Matter, your law firm case management software can fill the document for you. It’s a huge time-saver and can be worth the cost of the software on its own. This is the first thing people want to know, so this is what we’ll start with. Rocket Matter charges $65 per user per month for the first user. Discounts are available for longer term-based payments. If you choose to pay quarterly, you get a 10% discount. If you want to pay annually, you get a 15% discount. How does Rocket Matter stack up against the competitors? As far as the main features go, it has what the competitors have. Clio and MyCase and Amicus and Rocket Matter all have a user-friendly interface, allowing for attorneys to create matters, upload and merge documents, keep track of time, create elaborate calendars, and create tasks. Clio, MyCase, and Rocket Matter all have a document merging feature, work with third-party accounting software, and enable you to use Google Calendars and Gmail. Rocket Matter also has both an iPhone and Android app. I only had a small complaint. Rocket Matter only works with imap emails. if your email is set up using pop instead of imap (if you have no idea, ask your IT or web guy, or, Google it to try and find out), you can’t integrate your email with Rocket Matter. Overall, Rocket Matter is a full-featured solution for your law firm practice management. 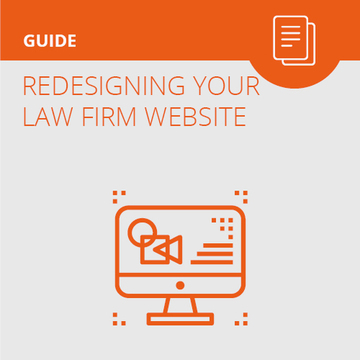 It has all of the essential features you’ll want out of your law firm practice management software with only a few drawbacks, the biggest one for me being price. If you’ve tried out Rocket Matter and have feedback, or have any questions, feel free to leave them in comments below. If Rocket Matter sounds like a good fit for your firm, you can sign up for a free trial and check it out for yourself. My firm has had Rocket Matter for over one year. My biggest complaint is the document storage is not organic, in other words it requires uploading every time you save and resave. Is that also true with Clio and the other cloud software? Clio runs smoothly with it’s document management. Rocket Matter does link with Outlook. Yeah. This article needs to be amended in that respect.